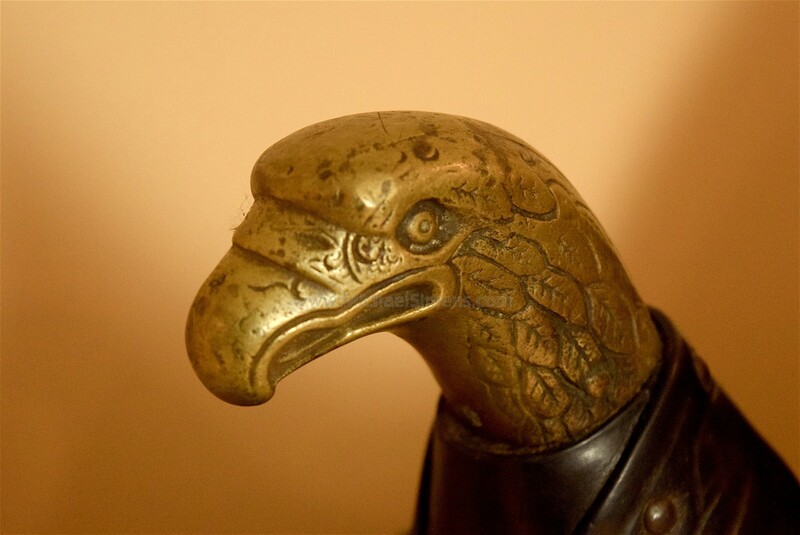 This is a strong condition "Eagle Head" or "Eagle Pommel" Officers Saddle that dates from the 1830 - 1850 period. Many of these saw service in both the Mexican and Civil Wars as well as by US Dragoon and Mounted Rifle Officers out west. This example is in extremely strong condition, that has been expertly cleaned and treated with conditioning agents that has left it with a nice look and no oder (a common problem with horse equipment). 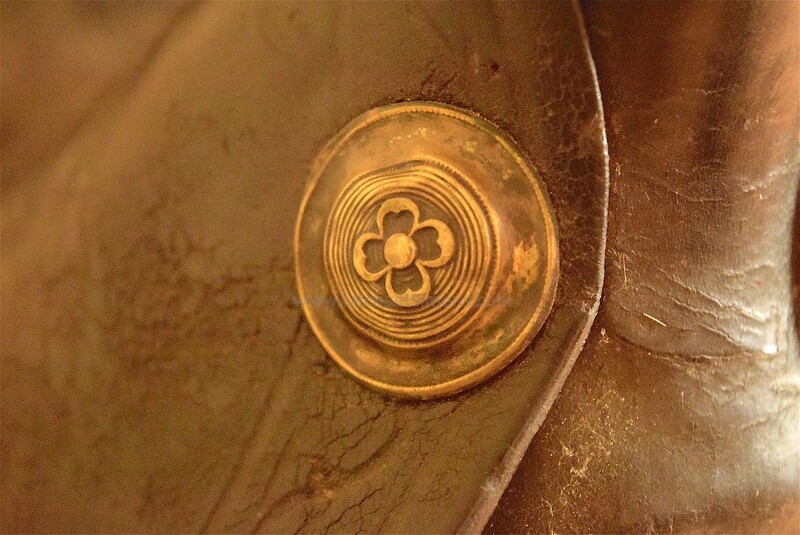 The leather is in great condition with one small tear area that could easily be patched or just displayed on its opposite side. 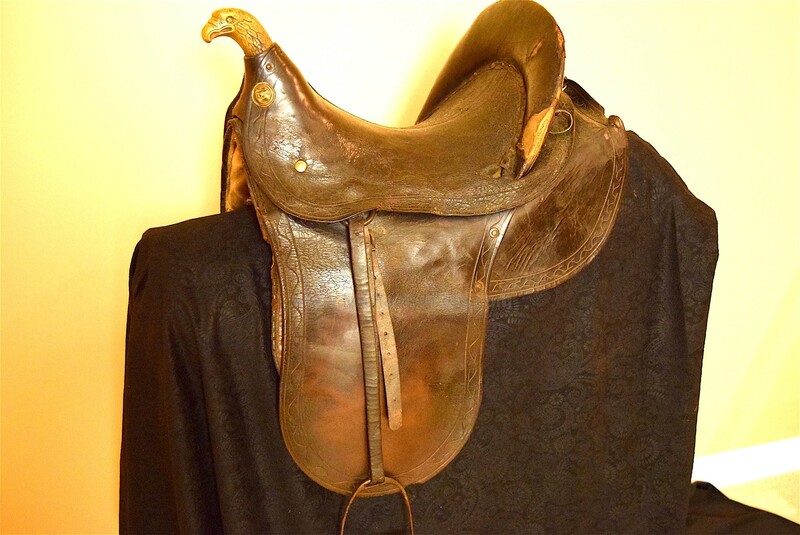 It has a comfortable looking seat with extremely high pommel and cantle. 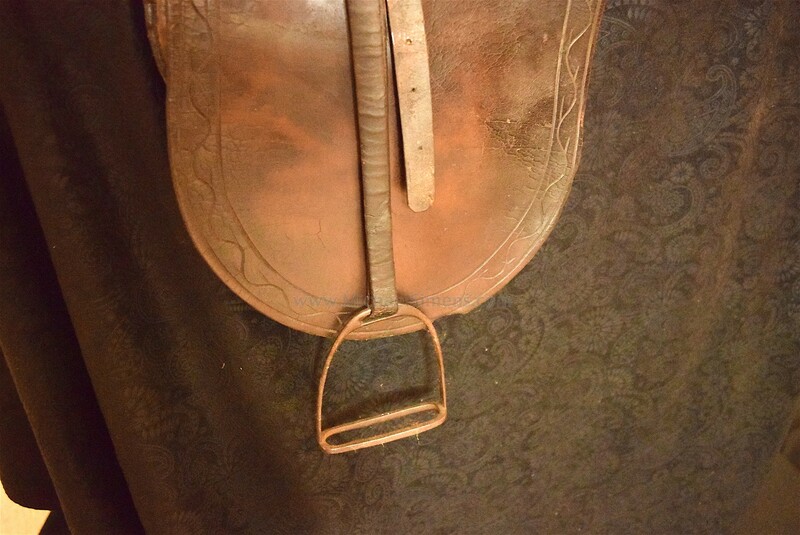 Leather edges are fancy tooled and it retains its early pair of iron stirrups. This would make a nice display piece in any collection.